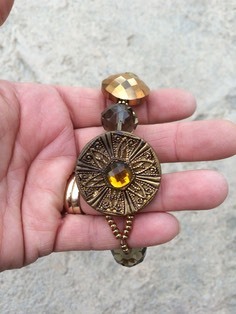 I used a gorgeous vintage button for the clasp of this lovely bracelet. 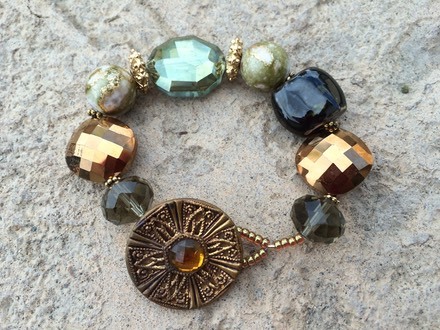 Bracelet is made with a beautiful mix of Chunky Glass and Crystals. 7" length.